Subject:- Revision of pension of pre-2016 pensioners/family pensioners in implementation of Government’s decision on the recommendations Of the 7th Central Pay Commission- Concordance Tables-reg. A copy of Department of Pension and Pensioners’ Welfare (DOP&PW)’s O.M. No. 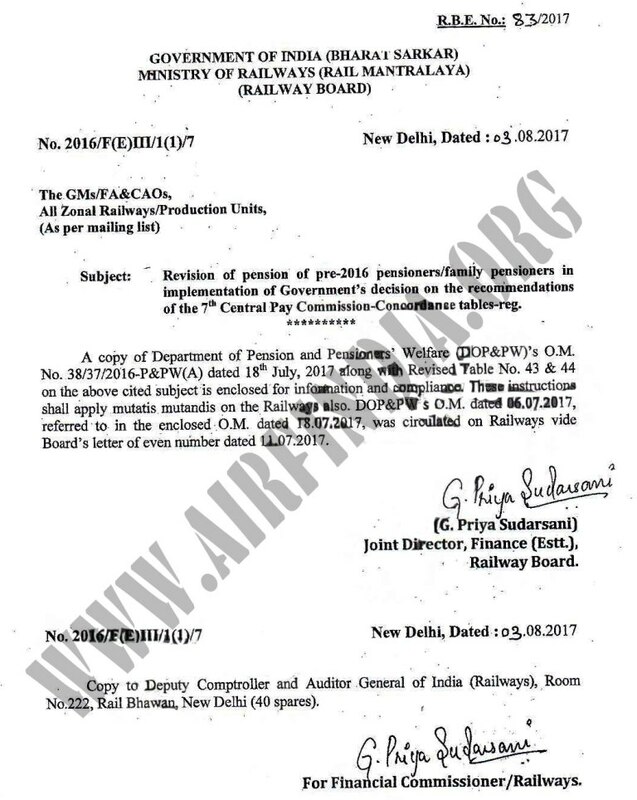 38/37/2016-P&PW(A) dated 18th July, 2017 along with Revised Table No. 43 & 44 on the above cited subject is enclosed for information and compliance. These instructions shall apply mutatis mutandis on the Railway also. DOP&PW’s O.M. dated 06.07.2017, referred to in the enclosed O.M. 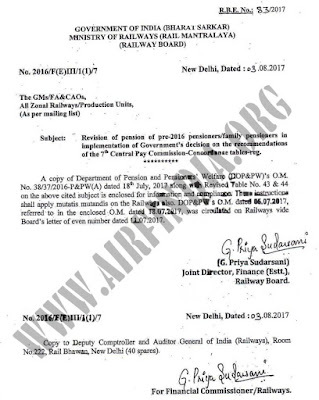 dated 18.07.2017, was circulated on Railways vide Board’s letter of even number dated 11.07.2017.